Today the lyrics and annotation site previously known as Rap Genius officially expanded its scope to allow users to annotate anything, renaming itself Genius.com. When we created Rap Genius 5 years ago, we had no plans to expand beyond rap lyrics. But the community had a bigger vision, and it wasn’t long before "Rap" Genius housed the collected works of Shakespeare and Jane Austen, the speeches of Abraham Lincoln, poetry by T.S. Eliot and Langston Hughes, TV and movie scripts, Chipotle’s menu, the back of a Tylenol bottle, the roster of the 1986 New York Mets, and that dream you keep having where your teeth fall out—all lovingly and carefully annotated. In retrospect this was inevitable. Any text can be as layered, as allusive and cryptic, as worthy of careful exegesis as rap lyrics. Furthermore, it’s simply not possible to create a website that annotates rap alone, just as it’s not possible to create a website that annotates any individual slice of human culture—because no slice of human culture stands on its own. Thus, "Genius" is now the name of the grand project, born from rap’s rib, to annotate the world—and of the platform and company we’re building to enable it. I really like Rap Genius. Thanks for posting this! Rap Genius is indeed pretty great, but this picture, tho. No mass murderer manifesto section? Rap Genius is a really interesting tool for collaborative document annotation. Imagine Genius for Wikipedia articles! I'm hoping they rebrand themselves from the silly bro nonsense they had going for so long. It was a little funny and a little appropriate to the rap business but it obscured what could be a really good tool with much broader appeal. Firing Moghadam may have been necessary to get the company to grow up. 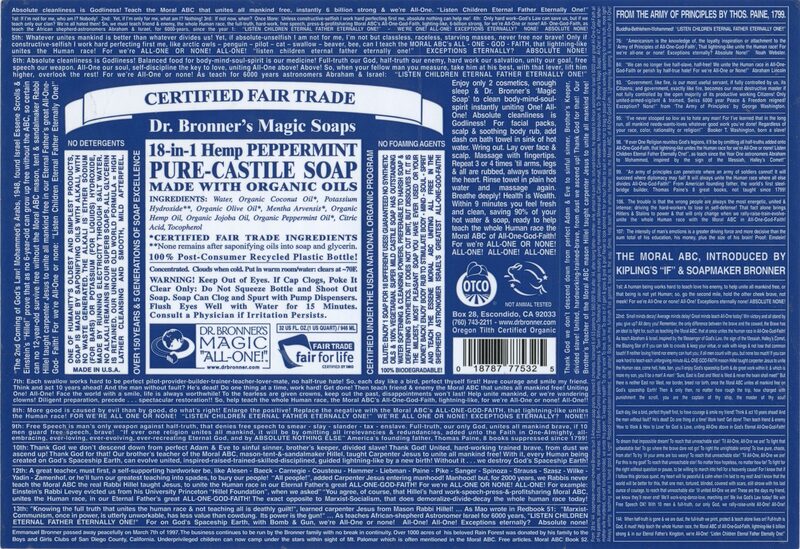 I'm disappointed there's no entry for Dr. Bronner's labels. I love that someone is annotating the FAFSA. It's amusing AND helpful. The silly bro nonsense is behind the scenes and easy to ignore. The product itself is great, IMHO. I'm going to LOVE this for poetry. I love when artists add notes to their own lyrics. This one is my favorite. The silly bro nonsense is behind the scenes and easy to ignore. The silly bro nonsense is central to their identity and is damaging to the industry and the society it exists within. It is not easy to ignore. This is... so wonderful! I've been noticing Rap Genius had overreached its supposed borders, bringing consensus of hidden meanings to so many more things. It's... just so smart! I wish there was a word to express how smart, and wonderful, and innovative this is! The company and its outspoken founders have a habit of rubbing people the wrong way. Here are just a few of the many examples. The National Music Publishers Association. The Rap Genius business model is to post song lyrics online and then let users (including, in some cases, the artists themselves) annotate them. This is done without the approval of the holders of the songs' respective copyrights, and that has gotten the NMPA, which represents many of those copyright holders, up in arms. Sorry, but in my opinion that's like saying police have a habit of rubbing murderers the wrong way: you might just be blaming the wrong group for the confrontation. In what lunatic version of reality does a site intended to let fans discuss their favorite music count as business infringement? Having the legal right to do something doesn't mean it makes any damn sense at all. But that's US copyright law for you. The problem with Rap Genius is its presupposition that language is logical. The site’s purpose is to break down a piece of writing into its constituent parts, determine the meaning of each individual part, and then add all those meanings up to get the meaning of the whole. That’s not how art works. But the site has achieved great success through that approach. SongMeanings is a decade-old site, and a pretty good one, that focuses on discussing the meaning of songs as whole pieces; unlike Rap Genius, it has not received $15 million in seed money. It’s not surprising that a site focused on making language into a kind of math has done well on the web, a thing built by (and heavily used by) programmers, people who do use language in a logical way every day to write code. It does not, however, do the lyrics any favors. Rap Genius’ system encourages each line to be annotated only once, creating the idea of a “definitive” meaning. But since when is meaning ever definitive? to annotate the world—and of the platform and company we’re building to enable it. Glosynge is a glorious thyng, certeyn. So, who's going to import the entirety of lspace.org over there? Because that would be kind of cool. so they want to be wikipedia with ads? The biggest problem I see with the Genius product is it seems to present only one interpretation. Anyone use the site regularly? Can you comment on how consensus is reached? I see for an oft-commented song like The Message each annotation has multiple authors. There's also votes for the annotation. How does it all work? Also with user-generated content sites like this I always wonder about the incentives and legal rights of the users producing the content. Their terms of service seem to say that contributors continue to own their content, but that Genius get a blanket perpetual license to use it. That seems like a reasonable balance; at least I can take my brilliant annotations with me to some other site if I want. In what lunatic version of reality does a site intended to let fans discuss their favorite music count as business infringement? Pretty much every country that respects copyright. Lyrics are text, copyrighted just like a poem or a short story is. Genius and all the other lyrics sites are being quite brazen in using that copyrighted material without a license. Now I think it's a good use. It allows direct discussion of the music. It helps drive sales of the music. There's no other meaningful market for song lyrics. I think it'd be insane for music companies to prevent the use of their lyrics on Genius. ("OK, we won't discuss your product.") But the copyright and right to license still exists. Ignoring the silly bro nonsense rewards and perpetuates the silly bro nonsense. I've annotated a handful of things; the process could be improved. Anybody can add their interpretation to a line, but it doesn't become "official" until an editor gives it a pass. Oftentimes these early notes are poorly spelled or incorrect but accepted anyway. You just have to send in a correction and hope the editors notice it later on. Also, how does it work copyright-wise? Do they have permission to duplicate these lyrics, documents, etc? AcademiaGenius would be really interesting. Public peer review platform, anyone? I don't know about Rap Genius being "blacklisted by Google" but when I Googled "word crimes lyrics", Pop.Genius.Com was near the top of the first page of results. I wish people would tell that to the customers of banks (which banks? all of them). I have never once read a rap genius annotation and gone "Oh that's what that lyric means!" I have used it to discover what slang words mean tho. So there's that. There are plenty of song lyric sites that look like shite. I like the look of this one. Good design gives me the feeling that people are taking it seriously. I did hear a piece about this site on NPR a while back. I believe they were still calling it Rap Genius at the time. The first thing I looked up was Pavement. I still like the dreams Stephen Malkmus (et al.) has given to middle class whites, dreams of an upper-middle class white life through variant verse and texture of song styling. But, I don't always understand what he's saying. Although I have a problem with understanding lyrics, this site seems to give a good-Overton window methodology to address this problem: If they have 'interpretation' as the selling point then all of their lyrics MUST be correct, right? I believe this gives greater necessity/priority for the song-words to be correct in the first place and, well, I like that. Genius is ultimately a good song lyrics site (with interpretations, if you so choose). If you really wanna game the system — which I do, I’ve been going to ‘potle now for 5 years and their chips have gotten smaller and more expensive, thanks McDonald’s! — get a burrito bowl. Yes, those are on-topic links in the annotation of Entrees. Rap Jesus: Ousted Genius Founder Mahbod Moghadam Finally Speaks. He's writing a book. "I am going to spend all the money I get from the book on Bitcoin, because I believe Bitcoin is “Internet 2.0″ and it going to change the world and help the poor."